A tale of betrayal, lust and revenge set in the Wild West. 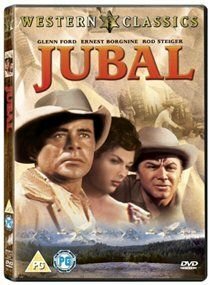 Glenn Ford stars as Jubal, a travelling cowboy who is employed on a ranch by Shep Horgan (Ernest Borgnine). Shep's pretty young wife, Mae, finds Jubal more than a little attractive and tries to 'get to know him'. Jubal rejects her advances, but a jealous range-rider, Pinky (Rod Steiger), tells Shep that Mae and Jubal are having an affair. Shep sees red, and murder is in the air.